The Secure Technology Alliance Certified System Engineer ICAM PACS (CSEIP) training and certification program provides advanced training for systems engineers on how to set-up and test E-PACS to align with government-wide specifications. This GSA-approved training program will provide the training and certification required for E-PACS engineers employed by commercial organizations that are looking to bid on GSA procurement agreements for access control systems. To ensure that procurements of approved E-PACS for GSA managed facilities are installed properly, GSA requires that all billable work performed on such systems be done using certified system engineers. This comprehensive program will provide systems engineers with the necessary training to demonstrate their ability to efficiently and effectively implement PKI and federal ICAM architectures for E-PACS and meet all federal requirements. To be credentialed as a CSEIP, you must meet the minimum requirements, complete an application, attend the three-day program and pass the written and practice certification exams. Your CSEIP certification is valid for two (2) calendar years, and you can recertify to keep your certification. The CSEIP recertification exam takes less than half a day and is conducted as a live, on-line instructor-led webinar. Learn more about the CSEIP recertification process. 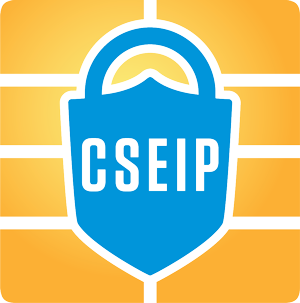 See who has their CSEIP credentials.